Giddy Greetings: You say goodbye......I say hello! Blog hop! We have a new design team at AiFactory! We wanted to do a blog hop to get to know the new members and to have a going away party for the design team members who will not be returning. The blog hop includes both the new design team and the old design team! There will be prizes given away during and after the hop! Visit the AiFactory challenge blog for all the info and then come back here on your rounds. Here's my project using clip art from AiFactory. 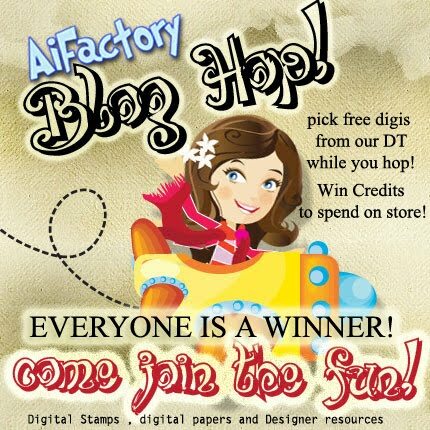 It's nice because AiFactory does more than just digital stamps! I recycled an old CD case and made it into a tic tac toe game using the clipart I was assigned. Click on the images if you want a close up. If you came from Lola's blog you are in the right place! If not then visit the "start" at the top of Lola. When you are done here then go hop to Angie's blog. I love how you've used this clip art to make yor game...too cute! terrific idea! thanks for sharing. I am glad to be on the team with you! Great idea, thanks for sharing and I am happy to be on teh DT with you. What a creative project...The images you used are very cute.. I love this idea! I look forward to seeing more of your stuff! Looking forward to working with you as well! My you are good at using clip art! I love how you make so many things to keep kiddo's busy! I really like what you've done. Great idea! Hey Monica, great work!! Glad to be on the DT with you!! Great idea! Great for the kids to stay busy in a vehicle. What a fun idea this is ~ great job! What a neat idea! You are so creative! This would be great to have when traveling with kids! What a very clever idea!!! My grandsons would LOVE this!!! Love your darling blog! The turquoise, red, black and white is stunning! I also love your little tic-tac-toe game! This is my first blog hop! I was invited by Tammy who is a member of CrazyCardMakers Yahoo Group! Love your darling blog--the turquoise, red, black and white are stunning! I also think your Tic-Tac-Toe game is wonderful!! Hi Monica, only just found enough time to visit everyone. Absolutely love your tic tac toe game. A really fabulous idea. Hi Monica What a great way to recycle a cd case its fab! What a fun idea. :)) Thanks for joining DS. So clever Monica! I may have to CASE this idea!! Great Job! Really nice, I like how you put the hat on the board background. what a great project. thanks for sharing!! Great idea! Thank you for joining us at SSDS this week. Good luck with the draw! Lovely! Thanks for joining us at Delightful Sketches. Love your tic tac toe game - clever idea! What a clever project, very cool!